As they say: "The cosmic ballet goes on," with the morning planets moving into new shapes every day. Further impressions - now with a Venus/Jupiter/Mercury triangle - of May 15 from Australia (scroll down), of May 14 from South Africa, Malaysia and the Philippines, of May 13 from South Africa and Australia (more, more [details], more), of May 12 from the U.S. (more, more), Canada, Poland (at 50° North! ), Israel, Iran and Australia (more, cloudy) and of May 11 from Uruguay, Canada, the U.S., the Canary Islands, Spain, Italy, Austria, Poland, Israel, Indonesia and Australia. • Plus a rare drawing of Saturn from May 12. 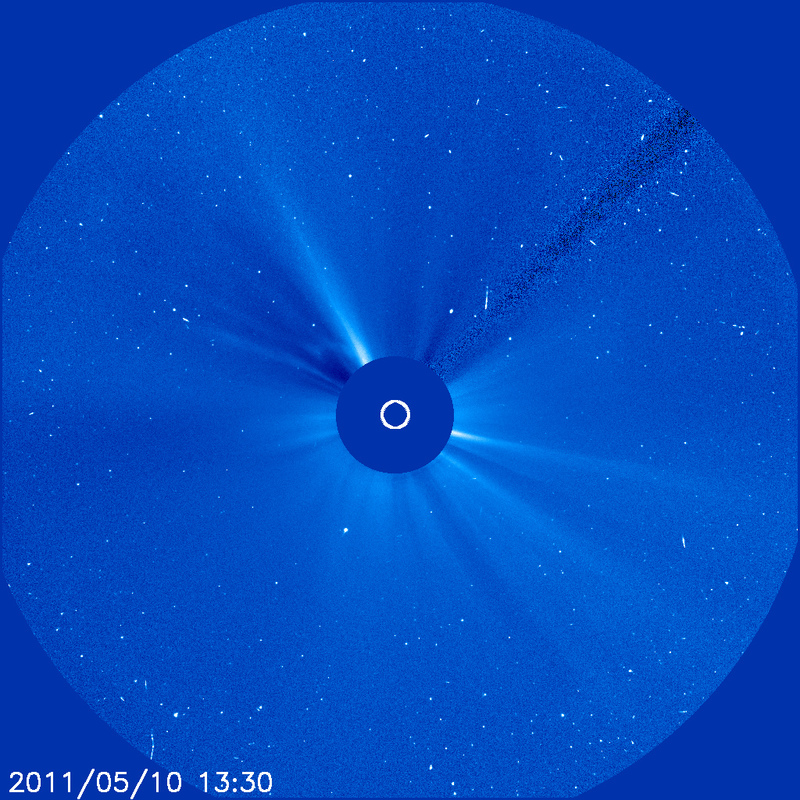 In other news new faint comets C/2011 J2 and C/2011 H1, plus the demise of the latest SOHO comet (also an animation [bottom]; more, more). • Dubious stories about a meteor bang w/o a meteor and a meteorite crater w/o a meteorite (more). • A paper on the high solar activity in Nov. 2003 and a new warning system from Germany. 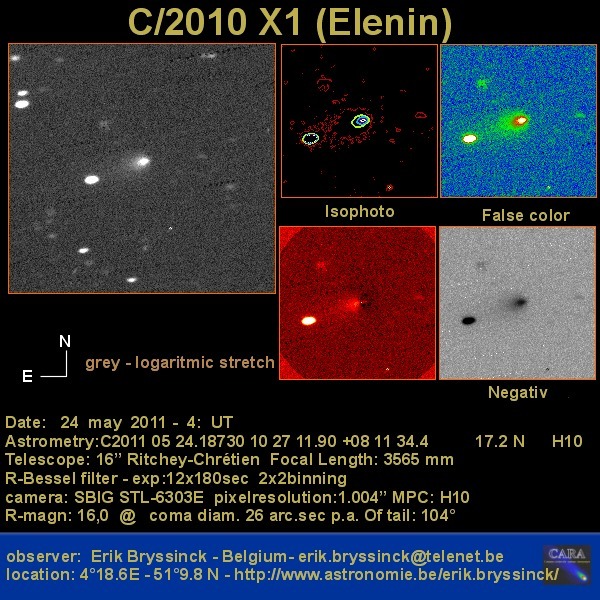 • Pictures of SN 2011by of May 12 (another close-up), May 7 and May 4 - while T Pyx is near its peak now. • The ISS on the Sun. • More coverage of the new big sky mosaic (final graf) here, here, here and here - and all three mosaics in direct comparision. • And how amateur astronomy has benefited from the unrelenting advance of technology.